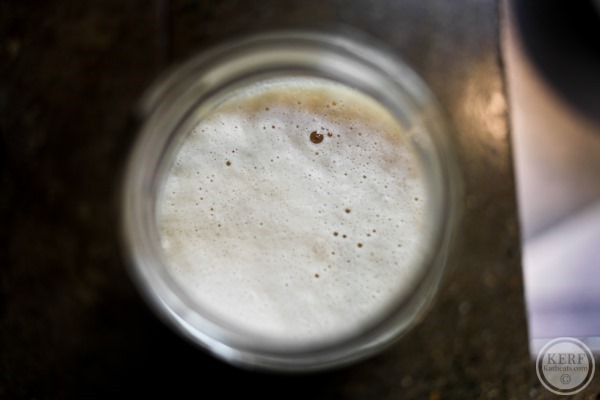 Need a reason to sip beer at 9am? This is it. My series of “I need my hands free at dinnertime” slow-cooker recipes continues. This week with a slow cooked beef stew! 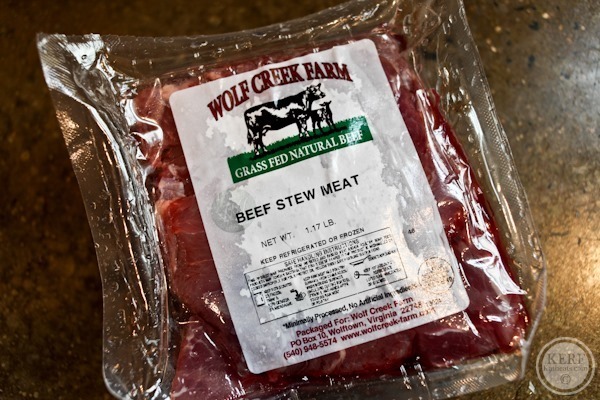 I bought this stew beef over the winter and put it in the freezer. Now that The Great Thaw is upon us, I figured I better use it before summer is here. This recipe is a super-simple layer-this-on-that-and-set-to-low type. Nothing to it. You can use any veggies you like (onion..mmm). When I was in middle school, my friend’s mom would always make a beef stew in the winter and it would stay heated all day long. We’d pop into the kitchen and slurp mugs of it whenever we needed a pick-me-up. Beef stew for morning snack? Sure. Beef stew for lunch? Yum! 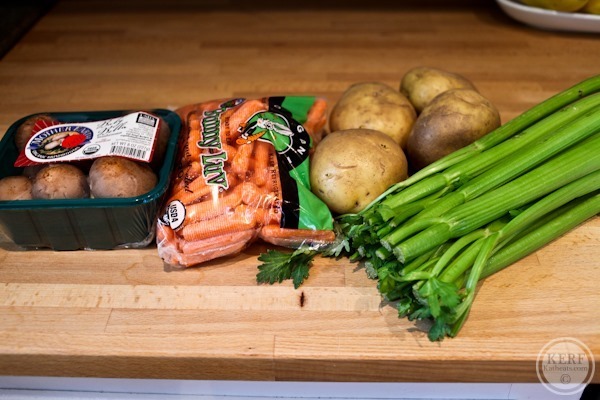 Beef stew to warm up after riding bikes? Why not. Beef stew for hors d’oeuvres. You bet. 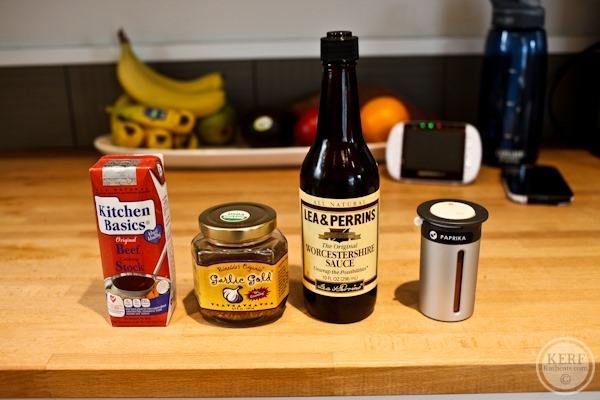 The smoke in this recipe comes from smoked paprika plus a smoked brown ale that Matt had on tap. If you’re not the type of household to have kegs full at all times, then feel free to use any brown ale you can find. Or omit the beer and use red wine. Or just broth! Ready set go! I actually liked that the scent on this was mild and it didn’t fill my house with food smells all day long, especially because I had friends over for lunch and I didn’t want the lunch to smell like beef. A ton of vegetables and potatoes form a bed for succulent stew beef seasoned with smoky brown beer and smoked paprika. Layer all ingredients in the order above. Cook on low for 9 hours. Served with Greek yogurt, per usual! I already sent this along to my mom! She got a slow cooker in January and is loving making new recipes in it! Yum! 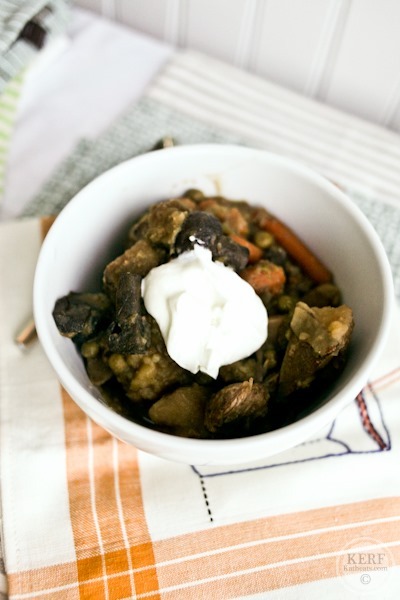 My dad used to make Guinness beef and veggie stew when I was growing up. There was nothing better on a drizzily day than a piping hot bowl ladled up with love and served with a well-buttered slice of my Mum’s fresh Portuguese sweet bread! I think I may be due for a visit home! Also the colouring of Matt’s homebrew is lovely. Beer and chocolate, for me, the denser and more deeply flavoured the better! 🙂 Now I’m just waiting to see who’s going to be first to take offense at your “If you’re not the type of household to have kegs full at all times.” since it seems that certain readers seem to use any excuse to jump to the conclusion that you are bragging! :p Although, if there’s something worth singing about from the rooftops, a good homebrew is it! 🙂 All of those Negative Nellies who seem to keep popping up lately are just envious! Keep on doing what you’re doing Kath! Especially if it is making you happy! 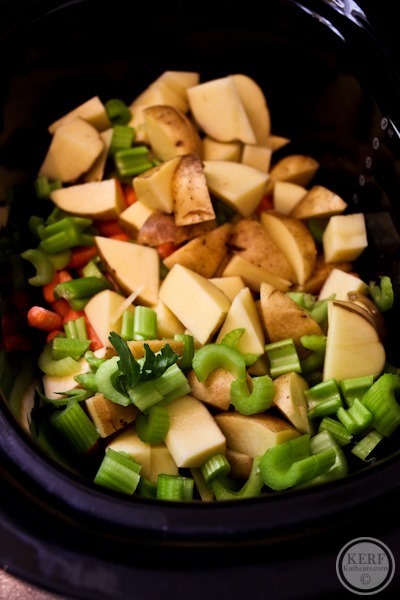 I am loving all of these slow-cooker recipes lately. I have always been the one to spend hours in the kitchen. However, I recently took on extra responsibilities at work and the Crockpot is the only way I can get my husband to cook for me! 🙂 Okay, I am going to halt my rambling now! I guess that’s what I get for commenting directly after finishing my morning coffee! Happy Monday everyone! This looks amazing! My mom used to make us a simple beef stew when it was cold outside. Seeing this dish and with how the weather is where I am, it reminds me of home. I like that there is a slight twist with the beer added in. I am going to have to go to the store so that I can give this a try. Thank you for sharing! Would you suggest adding more broth at the end, if you prefer more of a soup consistency? Your finished product looks almost more like the consistency of a casserole. I am all about the slow cooker these days. But now that springtime’s upon us, I’m having trouble thinking of less-wintery slow-cooker meals… maybe white chili or a light soup? Stews and such just aren’t speaking to me in springtime! 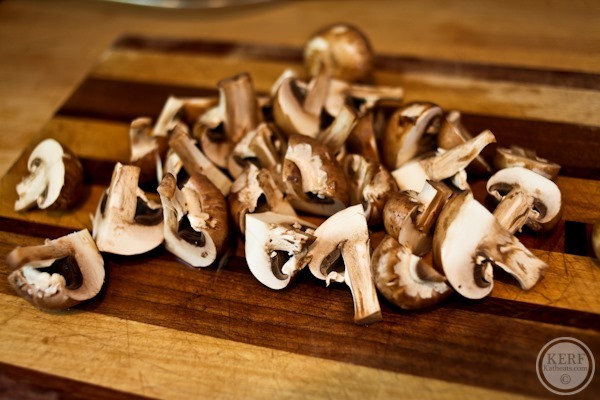 If you were to do this over, do you think you’d consider adding the vegetables closer to the end of the cooking period? 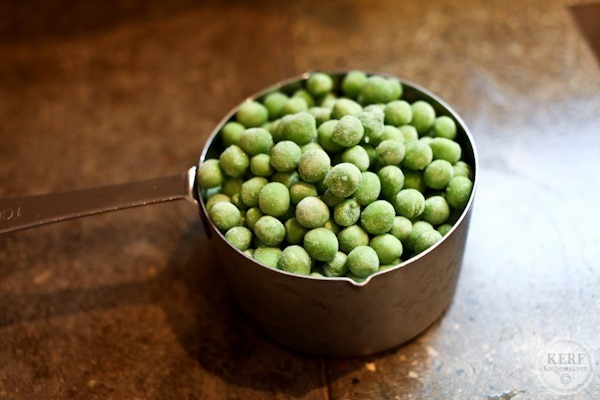 Nine hours seems like a long time for frozen peas, which are already cooked anyway. The beer sounds interesting! I’m always jealous of your in-house beer supply! 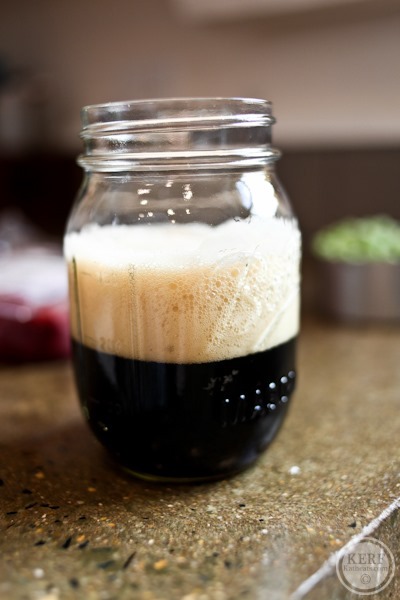 Any recipes that uses beer and is super easy is a winner in my house! Wow, that is an amazing recipe! The smoky beef looks so fresh. I’m surprised you added beer to it, I bet that makes it even more flavorful! looks awesome! Do you ever add a splash of red vin. (I use pom red vin) to the meat at the end? Tyler Florence does it and it adds a brightness to it. Makes everyone always ask what’s in it. 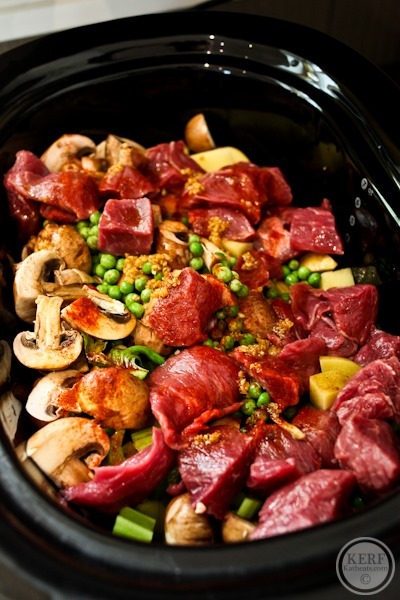 Can’t wait to play with my crockpot again. I think it’s too warm here for stew though! This looks good. I love a good smoky flavor in soups! I use a drop or two of liquid smoke if I’m out of smoked paprika or other spices. Works like a charm! The best smoky beer I’ve had is called Aecht Schlenkerla Rauchbier. It’s hard to find but you might find it at a specialty beer/wine shop. i used to be obsessed w a boy named stew in junior high. it was so traumatizing i haven’t eaten beef stew since! Mmm…sounds good and so easy! Port wine works splendidly IN stews, WITH stews and AFTER stews…. 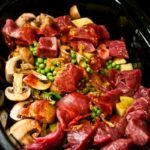 I’m constantly on the hunt for slow cooker or one-pot recipes. 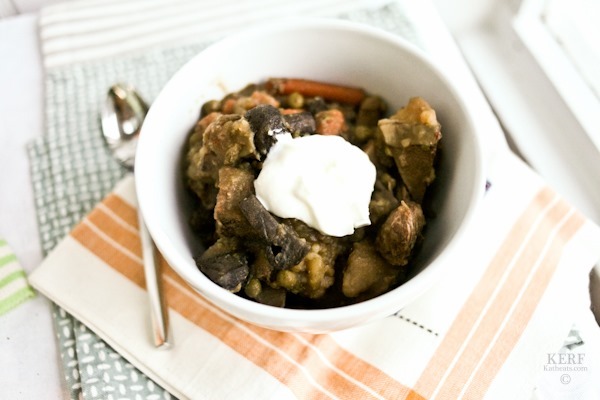 I like the addition of mushrooms, peas and celery to the been stew. Looks great. I love stew but new put beer in it before. Have to try that. This looks so good. Do you think it would be ok to cook this on low for about 10 hours? Yes, or have your cooker switch to warm after 8 if that works? 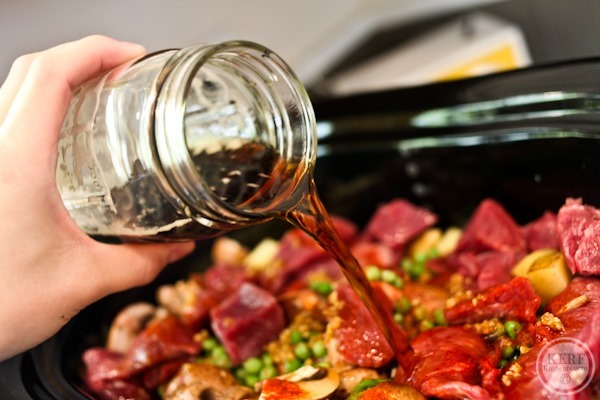 We had a local Scotch Ale on tap at our house over the winter and I added it to my beef stew–yum! Nothing like a hearty beef stew to warm one up on a cold night. One of my all time favorite meals.